The extraordinary talent and skill of Master Cue Maker Dave Doucette, fully expressed in this spectacular work of art. 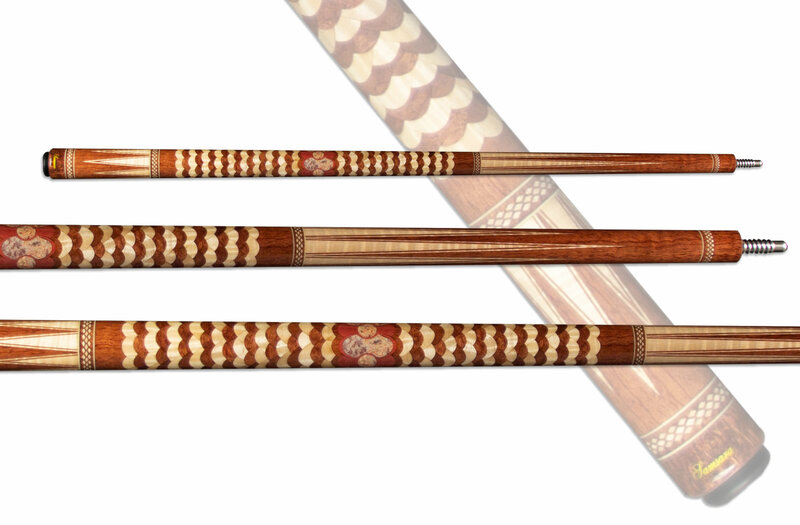 Featuring Crazy Lace Stone & Pink Ivory inlays, along with intricate layers of Curly Maple and Waterfall Bubinga, twisted together to create this masterpiece - The Samsara Twisted Cue. This Samsara Twisted Cue includes two matching TrueShafts & matching joint protectors.